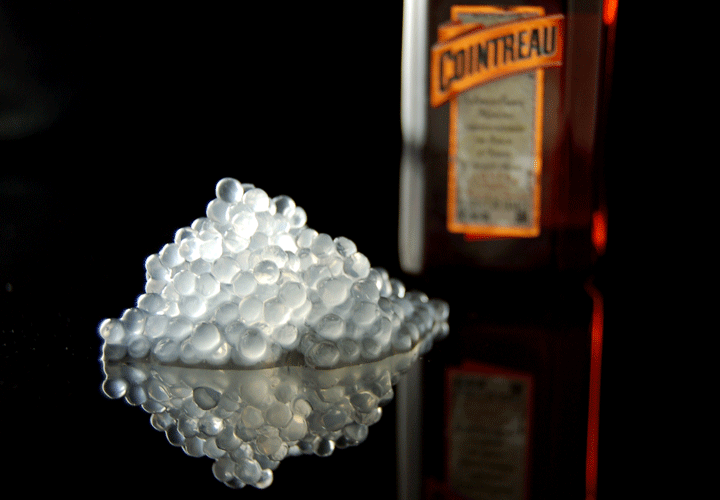 The Cointreau caviar is a great way to bring molecular mixology to your drinks. The Cointreau caviar can be added to champagne, cosmopolitans, margaritas, sidecar and many other traditional cocktails to make them more interesting. 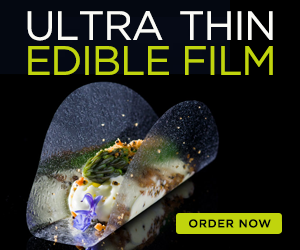 This caviar is made using Basic Spherification. Cointreau caviar was first launched in Paris in 2008 where it was presented to the greatest bartenders. After almost a year of research, the Cointreau team came up with the best formula to create the caviar and developed a caviar kit for bar tenders to be able to produce enough caviar really fast. The kit includes a magnetic agitator to mix the alginate without air bubbles in eight minutes instead of using an immersion blender and having to wait several hours for the air bubbles to disappear. The kit also includes a laboratory-quality precision scale, a pot of edible gold flakes and a caviar dispenser. I don’t know what’s special about their formula but after a few tests I came up with this recipe that worked very well for me. I didn’t use gold flakes but you can add them to the alginate solution to make the caviar prettier. Start by preparing the calcium bath. 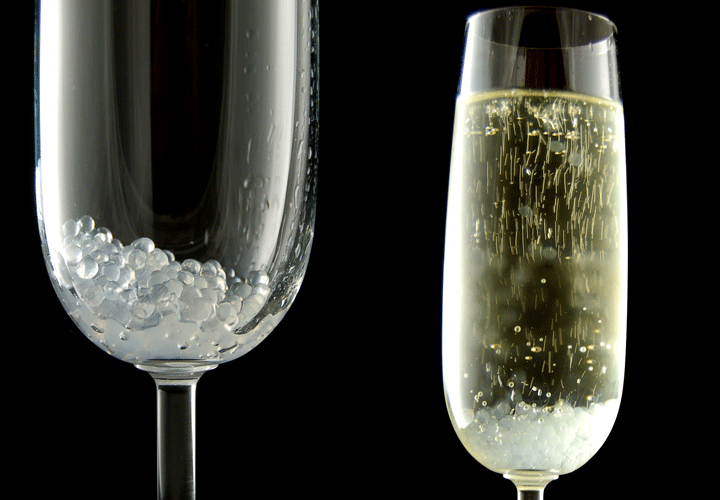 Dissolve the calcium chloride in the water and keep it in the fridge while you prepare the Cointreau mix for the caviar. Mix the sodium alginate in the water using an immersion blender until the sodium alginate is completely dissolved. If this is your first time doing this, be aware that this may take longer than expected. Once the sodium alginate is dissolved, mix with the Cointreau. Pass it through a sieve to eliminate some of the air bubbles created by the immersion blender. If you have gold flakes, this is when you should add them to the mix. You are now ready to start creating the caviar! Remove the calcium bath from the fridge. Fill a syringe with the Cointreau mixture and expel it drop by drop into the calcium bath. The syringe needs to be high enough for the drops to sink when they get in contact with the bath but not too high or the drops may break into smaller drops creating “baby” spheres. Leave the caviar "cooking" for about 1 minute in the calcium bath and then carefully remove it using a sieve. Then rinse it very gently with water to remove the calcium.